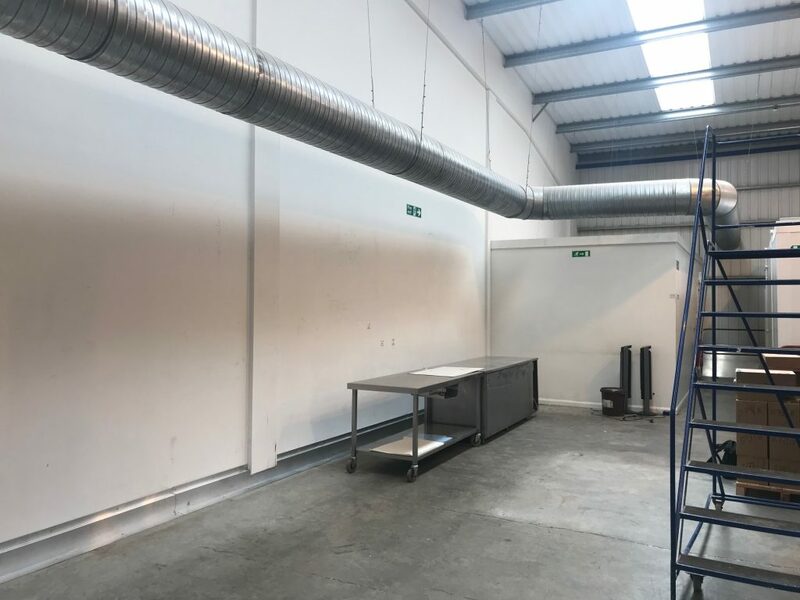 ACI will soon be enclosing this area with powder coated double skin steel partition with a solid steel walkable roof section to form a clean room for this high end Petits Fours manufacturer. We are working with Lucas Services who provide the ongoing maintenance for the building. Unusually, the installation will be on a 1st floor, concrete mezzanine. Luckily for us, there is a loading gate to save our fitter’s backs!